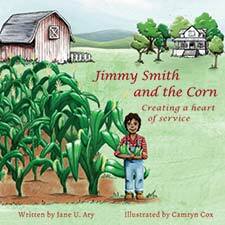 For Jane this has truly been a lifelong endeavor...she shared the first story of 'Jimmy Smith' as an ask from her then 6 year old son at bedtime to "make something up." And thus, 'Jimmy Smith' was born. Customer Service and Etiquette: Twice recipient of Marriott's 'Bill Tiefel Award' for Exceptional Service. Reconciliation: Jane strives to operate in a space of forgiveness. Understanding that this comes through the acceptance of self. Grateful Parent, Mother to an amazing son. Poetry and Writing: Her heart was captured early in her youth. Communication Skills: Jane recognized the importance in both her personal and business life how paramount it is to foster an atmosphere of safety, comfort and truth which allows people to be open to share those things which hurt and heal the most...Love and Loss. She finds joy in spending quality time with her family, traveling, and hiking.